Sometimes simple words are the best, and nothing says “I Heart You” more than our lovable Sherman Teddy Bear. 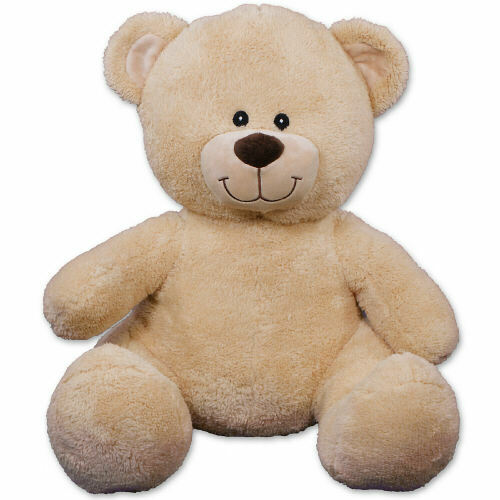 This Personalized Valentine's Day Teddy Bear is named Sherman, and he makes an adorable teddy bear gift idea to give your boyfriend, girlfriend, spouse or the one you secretly admire. He is truly unique because you can custom design the t-shirt with any two line custom message. Sherman has an irresistible look on his face along with wonderfully soft fur. He features contrasting tan fur on the inside of his ears and his soft snout. He measures about 11” and makes a wonderful gift for any occasion. Gift wrapping and special personalized message are included free! I loved my purchase. Thanks again. I look forward to buying more. My fiance loved it (although it was a tad smaller than I expected). It was cute and I was able to change the I to We. 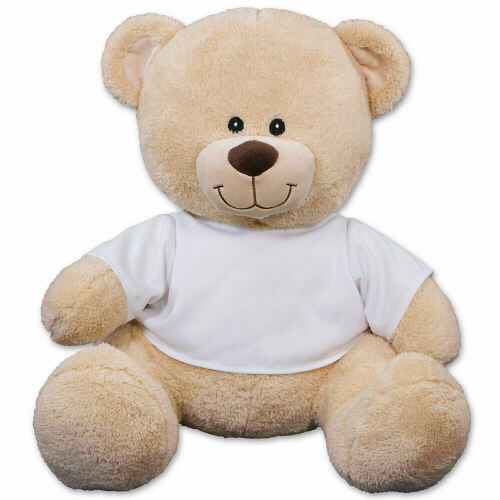 Additional Details Give a soft and cuddly love gift with a plush teddy bear! Take a peek at our Valentine's Day and Romance collections to find more great stuffed animals!